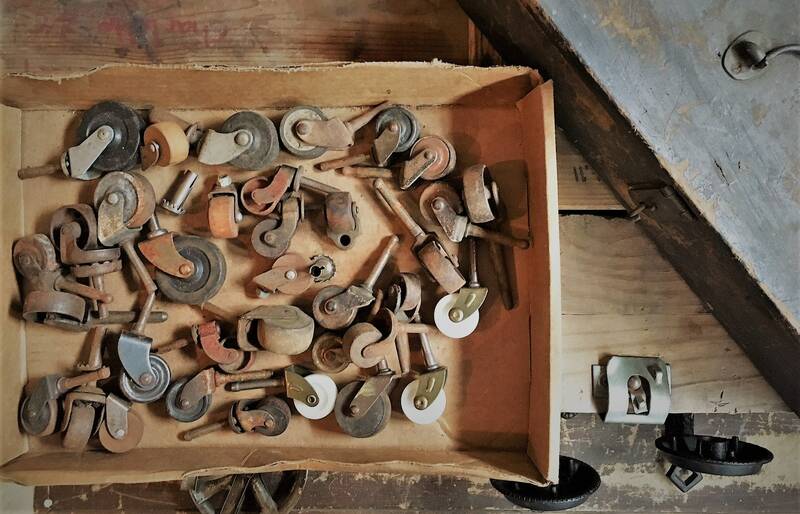 Featured is a nice collection of vintage casters. 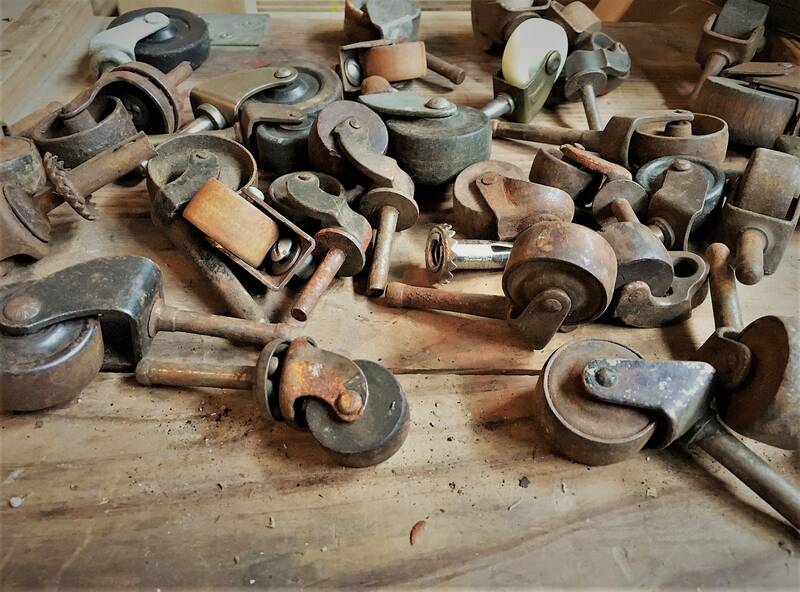 This set of 35 includes wheels in a variety of sizes from 1-2 inches in diameter, and from a variety of products including wood, meter, and synthetic. 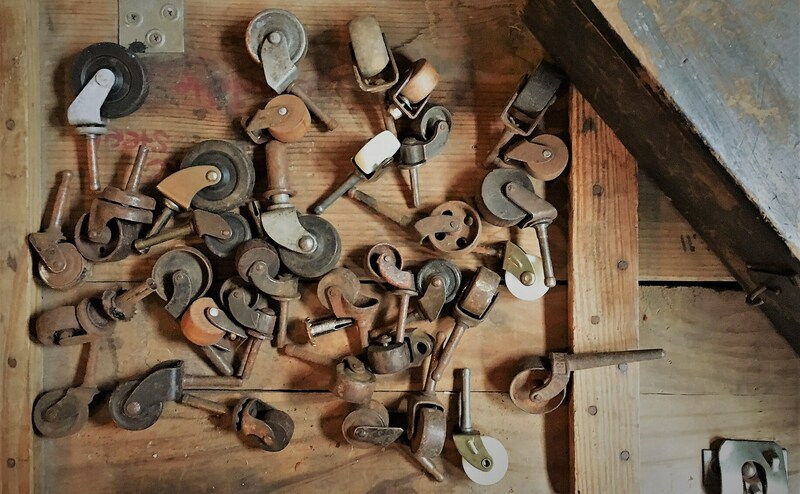 Great for repurposing in a variety of crafty projects, and there are plenty of creative sculpture and industrial applications as well. The whole set is being offered for one low price.